I truly am feeling quite 'joyful' about this weeks theme for the Global Design Project....I L.O.V.E all things Christmas! 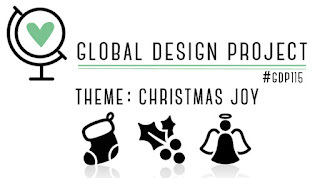 The shops are twinkling and have pretty displays PLUS the Global Design Team are creating some gorgeous projects to get you inspired. 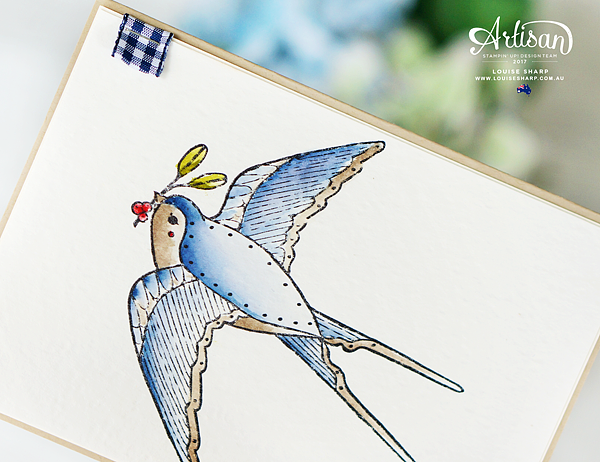 I am going to be honest - I watercoloured this beautiful blue bird from the Cheery Chirps stamp set in on page 41 of the Holiday Catalogue weeks ago - knowing that it would be going on a card at some stage! 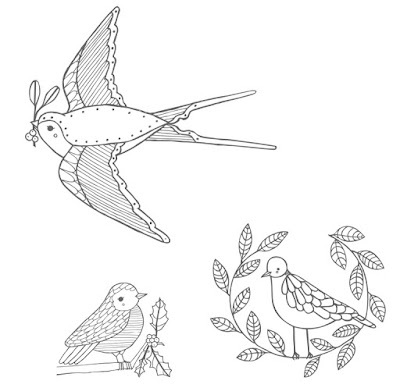 Even though it doesn't need to be coloured blue, it reminded me of a little blue bird broach I had as a young child. 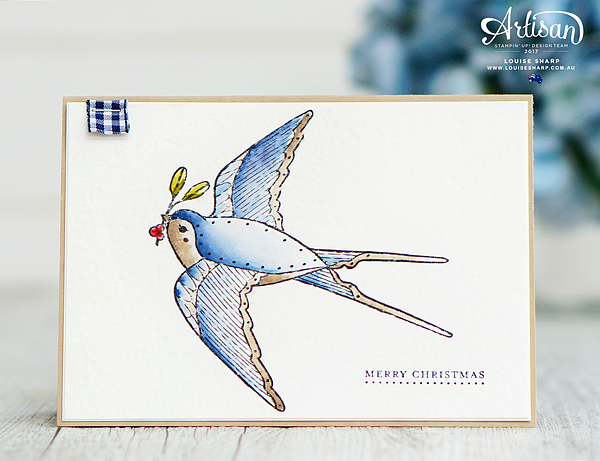 Christmas always brings back fond childhood memories for me, hence this bird just had to be blue.